I sat in the front seat of the van as it rocked and vibrated with the energy of four children who WAITED for a full twenty minutes or more as their Dad and I took turns touring a dingy apartment. Running through the rental with speed, all I remembered afterwards was the Dark and the Dirty and the teenage girl who huddled apologetically with two small dogs on the back porch. I watched from the van as my husband, the gentle, slow negotiator stood talking with the landlord. The apartment was too much money and, in the long run, we couldn't get a month-to-month lease. We visited a second place, also dark and dirty, and stood talking with the owners while the twins clung to us, caught up in the anxiety of a New Strange Place. We were pitiful, all but pleading. We carried those boys through a damp and moldy basement, past a man who spoke no English and sat alone on a bed in one room. Then we stood in the kitchen making nervous small-talk, patting the damp sweaty heads of our sons, while we waited for the owner to tell us whether we could do a month-to-month lease. The storm clouds that had gathered all afternoon broke on the way home and we four ran through a driving rain into the house we would soon leave. We were discouraged, disappointed. With only a few weeks until closing, we had no where to live. Our realtor gave us a key to an apartment he owned and my husband and I walked through by ourselves, tentatively, not expecting much. And it wasn't much, but it was better than what we'd seen, so we took it, but still, we had to tell the kids. There was no new house, just an apartment with a tiny yard and no swing set. I worried what they would think, would they be disappointed? I knew what I thought, I was disappointed. A week later, on a Friday, we took the kids to see "the new place." We warned them about the yard, we worried they'd think it was Strange and Lonely. But when we opened the dingy old door, the kids poured in like sunlight though stained glass windows, filling the house with a rainbow of noise, laughter and excitement. 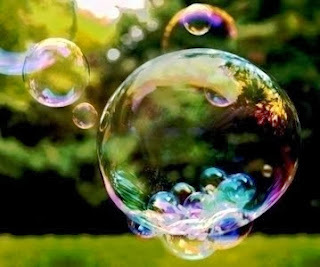 Light and loud, they floated through the house like bubbles blown off the soapy tip of the wand on a windy day and it was then that I saw, I felt, I knew. Home is - will always be - where these ones are. And though we're hunting still for a better nest, what matters now is this home that lives and moves and breaths around us, this home made of hearts, hands, and dirty feet. We try to get the whole family dancing to this song as often as possible. Check it out. Kelly, I know that this in-between season is so hard for you. But I just have to tell you, it has opened the floodgates of beautiful words here. I've always enjoyed your posts, but lately? Heaven on a page. Thanks so much. Yes, together is the best place. Praying for you in this time of transition, Kelly. I know you'll have many more stories from this place.